Everyone in Franchise Growth Partners and each of our franchisor clients know FGP views itself as a strategic partner, not a vendor, integral to the development and success of our clients. If a FGP client doesn’t understand this, then we have failed at the onset of our relationship in explaining how FGP works. 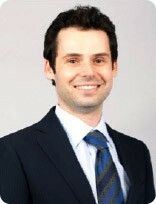 Mr. Simcik serves as President and Chief Executive Officer. In addition, Mr. Simcik works closely with the leadership teams of our franchisor clients. He represents FGP with clients throughout the U.S. Mr. Simcik is focused on FGP’s skills to deliver excellence, and the highest level of improved performance and profitability for franchisor organizations. 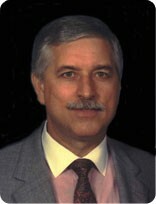 Since 1986, Mr. Simcik was formerly founder and chairman of Inches-A-Weigh North America, Inc., with overall management responsibility for the company’s operating results. 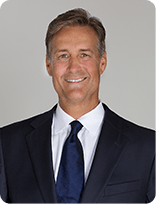 He successfully navigated the company through three stages of challenging franchising and economic environments, reporting profitability 23 of his 24 years in tenure. Inches-A-Weigh was acquired in 2010 by a Canadian firm. Mr. Simcik represents FGP in spearheading new relationships and providing one-on-one consulting in all areas of franchising. In addition, he has a passion for FGP to provide valuable outsourcing services, which strategically align with the greatest needs of franchisors. These management tools include: initial consultation, compliance documents and operations manuals, franchise sales services, and franchisee funding and lease negotiations. Mr. Simcik has been a guest speaker at franchise events and his company has been featured in Entrepreneur magazine, USA Today, and the Wall Street Journal. FGP is a current member of the International Franchise Association (IFA). Mr. Simcik is continuing his vocational education and working toward a Certified Franchise Executive (CFE) credential. Mr. Simcik attended the University of Alabama in Birmingham (UAB) on a basketball scholarship. He served as President of the Student Government Association. Additionally, he was elected as the President of the Graduate School Association. He received his Bachelor of Science in Marketing. 1n 1983, Mr. Simcik was voted “Businessman of the Year” in Montgomery, AL. 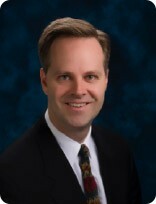 Richard C. Duell III maintains an active presence in the state, national and international legal communities – advocating client’s rights through a number of organizational and committee memberships. Mr. Duell is well respected by his colleagues having received a rating of “AV” by Martindale-Hubbell, the highest possible rating from the universally recognized legal referral source. Mr. Duell is a member of the Franchise Committee of the International Bar Association; the American Bar Association and its committees: Corporation, Banking and Business Law, Small Business; Forum Committee on Franchising; Franchising Section of Anti-Trust Law, he is a member of the Alabama Arbitrator Roster and is a charter member of the Birmingham, Alabama Bar Association’s Bankruptcy and Commercial Law Section. He is licensed to practice before the United States Supreme Court, the 11th and 5th United States Courts of Appeal and all United States District Courts of Alabama and Alabama state courts. 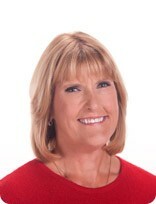 Lynne D. Shelton, Esq. has assisted businesses with their franchise and business opportunities since 1993. As a past franchisor herself, Ms. Shelton understands the needs and growth pains of her clients. After successfully negotiating and concluding the transaction for their 783 Franchisee, franchise system, Mr. and Mrs. Shelton opened a boutique business-consulting firm in order to provide advice to those similarly involved in startup and emerging businesses. While Ms. Shelton has represented both Franchisor as well as Prospective Franchisee, her specialty is in the area of providing experienced counsel for Startup and Emerging Franchisor’s who wish to establish or grow into a Regional, or National Franchise System. Ms. Shelton’s area of expertise transverses many different industries including restaurants, financial systems, construction, interior design, mining, senior care, and service industries including painting, installation, heating and air-conditioning. 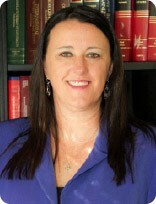 Ms. Shelton is the Senior Attorney in our Austin, TX office. Chad is a partner in Dale & Lessmann LLP’s Corporate Commercial group with a focus on Franchise & Distribution Law, Trademark Law and Gaming Law. He assists local and foreign franchisors with all issues in the establishment and development of their franchise systems in Canada, including all matters relating to acquisitions of franchised businesses, as well as licensing and distribution. Chad represents franchisors and franchisees in connection with all issues pertaining to the franchisor-franchisee relationship and drafts and reviews franchise agreements, master franchise agreements, area development agreements and disclosure documents. He is also a Registered Trademark Agent and advises on all manner of trademark law, as well as advertising and marketing matters, including drafting contest rules. Chad has been recognized by Canadian and American publications as a leader in Canadian franchise law. 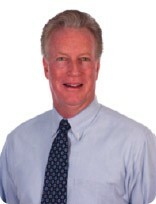 Robert W. Ball serves as our Senior Compliance Officer. 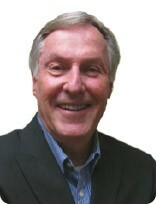 Prior to joining FGP, he had a long and distinguished career serving major corporations in manufacturing, distributorships and franchising operations, including terms as: Vice President of Century 21 Real Estate Corporation (NYSE) at their international headquarters in Irvine, California; Corporate Legal and Insurance Manager For Toyota Motor Sales USA, Inc. at their national offices in Torrance, California; and as the manager of dealer relations and litigation for Fleetwood Enterprises, Inc.(NYSE) in Riverside, California. At those times, each of the companies was the largest in the world in their chosen fields. 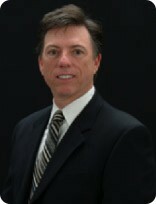 While his service has largely concentrated on franchising and franchise system development, limited partnerships, public and private offerings, and franchise documentation, registration and compliance matters, he also gained experience by assisting in the development of dealer and distribution agreements and systems, multimillion dollar repurchases of subfranchisor systems and the purchase and sale of corporate assets. Mr. Ball has assisted several companies in raising large amounts of capital for the expansion of their distribution and franchising businesses. Kerby Lecka provides our FGP clients a comprehensive suite of franchise services. With over 25 years of marketing experience from specialized niche products, healthcare, consumer and high-tech to packaged goods, Kerby ensures that every brand knows why their customers connect with them – what they’re seeking beyond product, service and price, and how to communicate that essence with razor-focused clarity. He helps brands to articulate marketing messages grounded in well-planned strategies derived from a complete knowledge of the target audience as well as the market. With a degree in Radio-TV-Film from Cal State Northridge’s respected School of Communications, Kerby and his company provide brand and image management, product positioning, strategic planning, business development and communication design skills. Joe Cibere provides our FGP clients brand development services for inspired Franchisors and their Franchisees. With over 35 years of marketing and agency experience from specialized products, entertainment, consumer, automotive and high-tech to multi-media, Joe visualizes the brand so it will resonate with the customer and connect with them bringing clarity and an emotional connection. With broad experience, Joe and his company provide brand strategy, product positioning, planning, business development, and communication design skills. Rich Stark provides full service internet marketing services specializing in creating website marketing strategies for franchise systems. Mr. Stark has been working with small businesses and corporations on web site design and marketing for the past 16 years. Mr. Stark has worked with some of the largest brands in the franchise industry and educates businesses on changes in online marketing and how those changes affect franchises in particular. Mr. Stark graduated with a Bachelor degree in Science for Civil Engineering, but quickly saw the Internet as a more interesting industry and saw the potential in how it could help businesses. 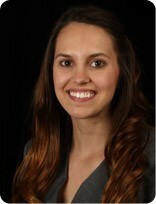 Heather Atherton is director of public relations for Franchise Growth Partners. Ms. Atherton works closely with FGP clients to develop strategic communications plans for launch as well as ongoing awareness-building programs, particularly in media relations. She has worked with numerous franchises including: Krispy Kreme, Tin Star, Cybertary and Robek’s Fruit Smoothies and Healthy Eats. Ms. Atherton is a veteran public relations consultant with 18 years of experience, specializing in media relations. Prior to consulting for the past 11 years, Ms. Atherton worked with some of the most prestigious PR firms including international firm, Ketchum, and leading California firm, Runyon Saltzman & Einhorn. 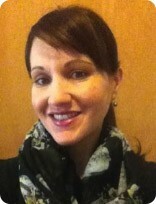 Heather has worked with national, international as well as start-ups. Specializing in strategic business partnerships as well as media outreach and awareness-building, Heather has helped many businesses looking to take their business to the next level among their most important influencer groups. Ms. Atherton holds a B.A. degree in communications from California State University, Sacramento with an emphasis in public relations and a minor in business administration. 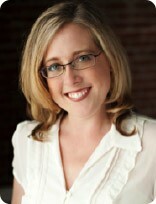 Jessica Anderson has worked in the franchise industry since 2001. She has has an extensive background in sales, training, operations and business development and Jessica has worked in one, or more, of those capacities since joining the franchise industry. She held positions as a Program/Sales Director and later as a Corporate Trainer for a company that franchised weight loss and exercise centers from 2005-2012. Jessica currently works with clients who are franchising their companies in both the business development as well as the training departments. Jessica excels at communicating company values, procedures and practices to franchisees and their staffs all over the country. She also enjoys facilitating potential franchisees through the franchise discovery steps of the companies she represents. Jeff has been with US Foods for five years, hired specifically to build a national sales organization focused on emerging concepts. His organization drives over $100mil annually in new customer revenue for US Foods. The strategy has resonated with nationally emerging customers who find great value in how the service and technology made available to them promotes both increased growth and profits. Making it easy to grow is a key ingredient to both franchisors as well as franchisees. Jeff received his BS in Electrical Engineering at Northwestern University and began his career learning the business ropes at Accenture working for several fortune 500 companies during his time there. Founding partner in Mimi’s Café. Sold interest in Mimi’s Cafe to a venture capital firm. Mimi’s Café is now owned by Bob Evans Farms (145 locations in 24 states). Mr. Simms has spent 35 successful years in the food and beverage industry in a variety of management, consulting and ownership roles involving all aspects of operations. Currently, Mr. Simms is a managing partner of a high volume casual dining concept in Manhattan Beach, California. He is involved in a variety of ventures including additional restaurants (partnerships and investments), grape growing and wine making. 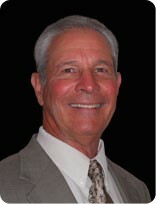 Mr. Simms received his BA degree from San Diego State University in 1978. 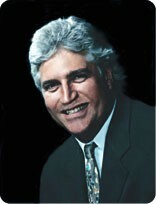 Mr. Simms is an active member of the California Restaurant Association and the National Restaurant Association. Mr. Simms offers full service one-on-one consulting in all areas of: company vision, business systems, strategies, site analysis and selection, store openings, management staffing, budgets and financials, and menu development. Mr. Eichberg as an Attorney has been practicing law in Los Angeles, California since 1978. He was a senior partner in the Law Firm of Lever, Anker & Israel, Eichberg & Feldman and Goldfarb, Sturman, Averbach & Eichberg. Mr. Eichberg has experience in landlord-tenant disputes, altering county ordinances, obtaining Conditional Use permits and other areas of real estate law. 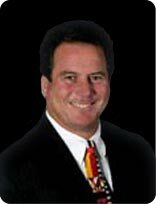 Mr. Eichberg has extensive knowledge of, and has worked on, almost every type of transactional matter, from simple contracts to complex real estate transactions. 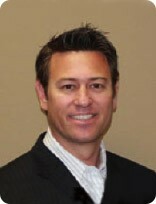 He has reviewed over one thousand (1000) leases for franchisors and franchisees. Mr. Eichberg has represented and served on the boards of international corporations, RGB Systems, Inc., d/b/a Extron, Fastframe USA, Inc, d/b/a Fastframe, and California Closet Company. 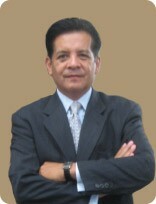 He has represented businesses in the audio-video market, electronics market, computer market and numerous retail and wholesale businesses. Mr. Eichberg received his BA Degree from California State University at Los Angeles in 1971, his Juris Doctorate Degree from Southwestern University School of Law in 1974 and his Mediation Certificate from The Strauss Institute of Pepperdine University. 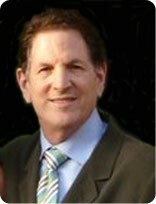 Lloyd R. Wertheimer; VP of Commercial Leasing, has been in Commercial Real Estate for over 11 years. His back ground includes; sales, leasing and investment in all market segments, (Office, industrial and Retail) in the Industry. He conducts market analysis and demographic services, market visits, franchisee communication and expert lease negotiations. Upon franchisor/franchisee approved locations and final terms of the letter of intent, Mr. Wertheimer works closely with our legal department to review and finalize franchisee leases. Mr. Wertheimer serves or has served as a Vice President on the Board of Directors for; The Los Angeles Boys and Girls Club, Thousand Oaks Boulevard Association, Chairman for Thousand Oaks Rent Adjustment Committee and other various local and community agencies. Prior to joining FGP Commercial Leasing, Mr Wertheimer has worked in sales and acquisition for a National Developer and agent for a Regional and National Brokerage firm. Armando Romero offers our clients an invaluable financial services capability with over 25 years of commercial banking experience managing loan portfolios for mid-sized regional banks. His experience includes managing and developing banking relationships for franchisor and franchisee clients, in addition to manufacturers, distributors, and professionals in the Accounting, Legal and Medical fields.